Looking for an RV to take on quick trips and far-away destinations? Just imagine enjoying the ride as much as the destination. This nimble and fuel efficient Siesta Sprinter works well in the city and the open road. When it's time to relax, the sofa and booth dinette offer ample seating, plus you can lay on the cab-over bunk if you like. 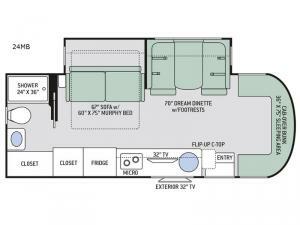 At night just pull down the Murphy bed which is located behind the sofa during the daytime. The flip-up countertop in the galley kitchen offers more space to dry dishes or prepare meals in the convection microwave or on the two burner gas cooktop. You even get to choose to watch TV inside, or outside while relaxing under the awning. Take a look! 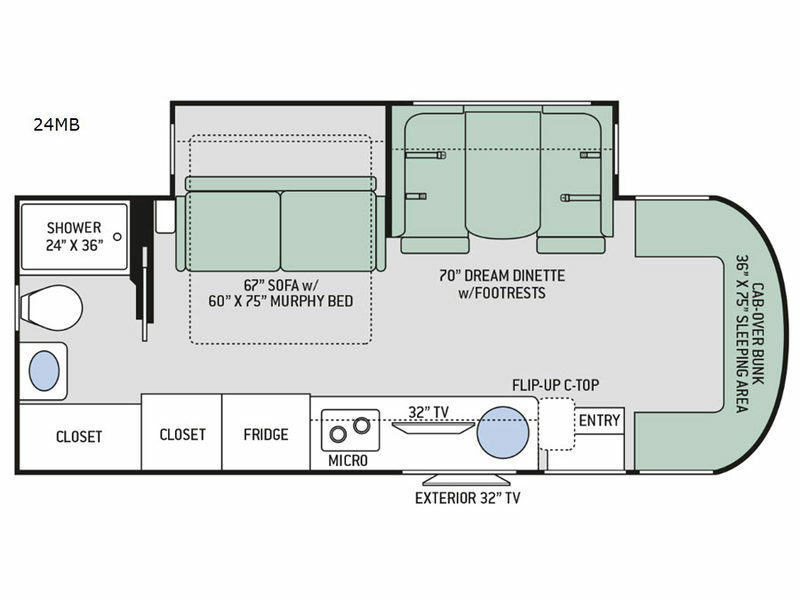 Luxury and efficient are the top two adjectives mentioned in the Thor Motor Coach Siesta Sprinter Class C diesel motor home. Each model includes a Bluetooth Coach radio system with a DVD player for movie night, HDMI ready, App control and exterior speakers. The kids will appreciate the power charging center for their electronics, the driver and passenger will enjoy the swivel, Leatherette captain's chairs, and everyone will love the interior decor choices as well as the exterior colors when they choose their favorite model. And don't forget you are riding on a Mercedes-Benz Sprinter chassis. Today is the day to start living your traveling dreams!